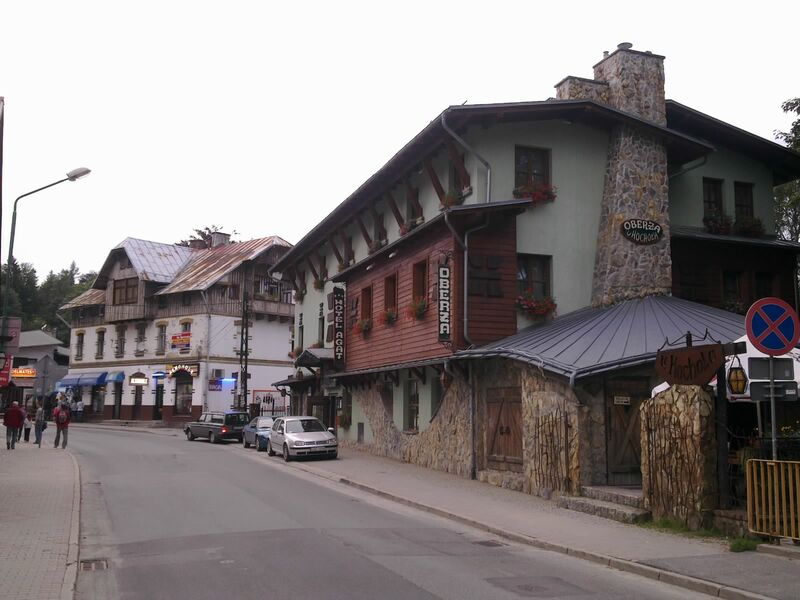 I tried to take a nice photo of Szklarska Poreba, the Polish mountain resort where I'm spending the night, but frankly it's not very photogenic. Too many tacky tourist shops and pizza/kebab joints for my taste. At least you can see my hotel, which is classy enough. Today was tough. The steepest section of the trail over the mountains had been washed away by a recent flash flood and I had to push the bike uphill over fallen trees and rocks. Even the flatter sections were boneshakingly bumpy. Still, it's nothing that a plate of pierogi won't put right.